People often use Skype for calling and at the same time, you can make a little prank on your friends whenever you’re talking with them on Skype by changing your voice. This can be accomplished by using a program known as Clownfish. This software can be use to change your voice and perform many other tweaks. 1. First of all, download Skype software from HERE (windows) or HERE (Linux), and then install. 2. 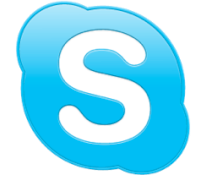 Now that you have installed Skype on your machine, then download Clownfish free Skype voice Changer from HERE and then install it. 3. After installation, run Clownfish software. 4. Grant the software permission to be connected with Skype. 5. Finally, you will see a small Clownfish icon on your computer toolbar, now make a left click on it and use voice change. That’s all ! ==> You could write in your native language and the recipient will receive the message translated to their language. There are different translation services you could choose from. ==> Build-in spell check support. ==> Text-to-speech support for all incoming messages. ==> Ability to send of predefined ASCII and emoticon drawings. ==> Big list of build-in greeting wishes. ==> A.I. Talking Robot can be your replacement in many cases. ==> With Voice Call Recording you can silently record your conversations. ==> Music Player – make your voice calls unique by playing your favorite music as a background. ==> Encrypt Messages – now your secret data will be secured. ==> Now all incoming messages can be translated to your native language. ==> Broadcast message to all your friends with single click. ==> Show an avatar image on every message you receive.